Comino (Maltese: Kemmuna), formerly called Ephaestia (Ηφαιστεία in Ancient Greek) is a small island of the Maltese archipelago between the islands of Malta and Gozo in the Mediterranean Sea, measuring 3.5 square kilometres (1.4 sq mi) in area. 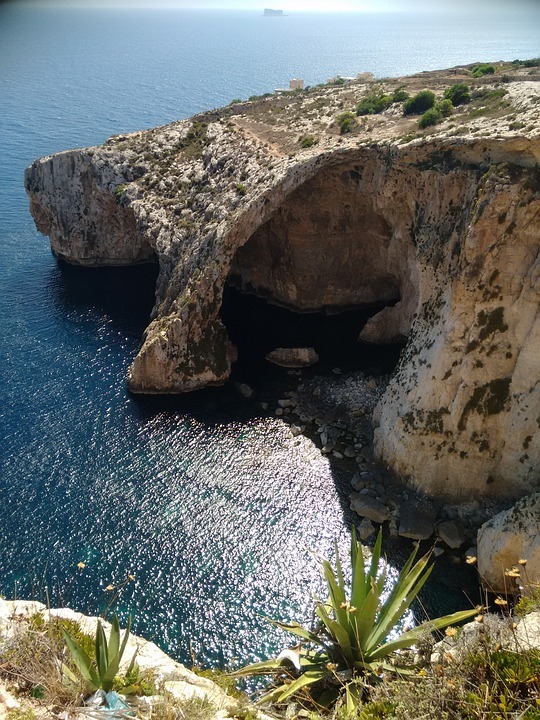 Named after the cumin seed that once flourished in the Maltese islands, the island is the least densely populated area in the Republic of Malta. It has a permanent population of only three residents, following the death of the fourth resident in 2017. Administratively, it is part of the municipality of Għajnsielem, in southeastern Gozo. One priest and one policeman commute from the nearby island of Gozo. The island is a bird sanctuary and nature reserve.